• 2 Traps Per Package. • One Trap Per Pack. 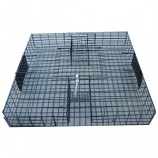 • Plastic Trays Hold Up Very Well In Damp Garages and Basements. For use with deluxe hardware kit (bci #311608). 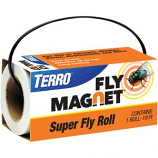 Use wherever flies are a problem: patios kennels stables barns and more. Insecticide free. Non-toxic. Made in the usa. 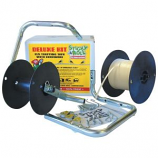 • Unique, One-Of-A-Kind, Multi-Catch Rat Trap That Can Catch Swarms Of Rats In Only A Matter Of Hours! Dual color surfaces. Lays flat or adheres to surface. 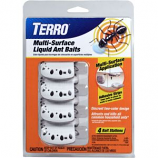 Adhesive strips keep baits in place on walls floors and under cabinets. 4 dual-color bait stations. Industry leading proven formula. • Catch Up To 20 Chipmunks At One Time! Kills mice. One touch set. No see-no mess disposal. Great for tight spaces. .
• Mechanical Traps Are Ideal For Capturing The Occasional Intruder Or As A Part Of A More Extensive Control Program. 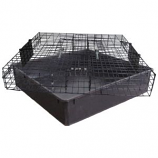 • Easy To Work and Reusable Traps. • Safe Around Children and Pets. • Clean No Touch Disposal With Automatic Reset. 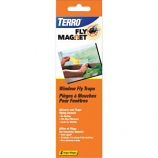 • Ideal For Capturing The Occasional Intruder Or As Part Of A More Extensive Conrtol Program. 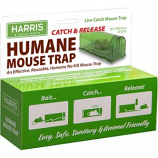 • Catches House Mice and Field Mice, Up To 10 Mice With One Setting. • Great Catch and Release Option. • Ideal For Capturing The Occasional Intruder Or As Part Of A More Extensive Control Program. • Reusable Traps Set In One Easy Motion With Your Hand Or Foot. • Proven Effective and Has Patented Interlocking Teeth. • Also Comes With A Removable Bait Cup. 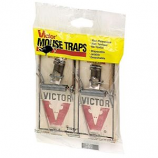 • Fits Rat and Mouse Snap Traps. • Use Indoors Or Out. 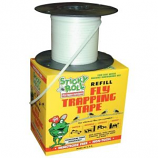 • Helps Protect Children and Pets From Accidental Exposure To Rodent Baits Or Traps. • Keeps Rodent Control Measures Out Of View. A unique multi-catch squirrel trap that can catch dozens of squirrels in a matter of hours. No more spreading costly baits that can harm other non targeted animals. Comes complete with basin. . .
Includes 8 tubes. 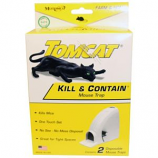 No baiting no vapors no mess. . . .
• Tomcats Glue Boards Capture Mice Without Poison. 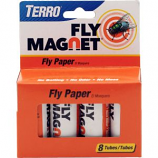 • The Powerful Adhesive Holds Rodents Securely Once They Step Onto The Glue. 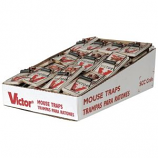 • Adhesive Traps Are Ready To Use and Easy To Dispose Of. • Place Glue Boards At 5-8 Foot Intervals In Areas Where Mice Will Most Likely Cross Over Them As They Move From Hiding Place. • Best Locations Are Along Walls, Runways, and Gnawed Openings Where Mice Are Most Likely To Travel. • Tomcats Glue Boards Capture Rats Without Poison. A unique multi-catch squirrel trap that can catch dozens of squirrels in a matter of hours. No more spreading costly baits that can harm other non targeted animals. Trap only no basin tray included. . .
Includes 4 tubes. No baiting no vapors no mess. . . .
For use in garages stables barns restaurants and more. Effective 3-D design. Easy to use and long lasting. Over 19ft. long. .
Includes 4 tubes. 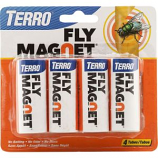 Attracts and traps flying insects. Fits most windows. No Baiting. Lasts for months.